Thank you to all of you supported this campaign. And the rain continues.... there is nothing anyone can do to control the weather, but we must respect its ability to throw at us what it will at any time it wants... and therefore any action that councils in parternship with developers take should be carefully thought about by them, take into consideration the wishes and knowledge of local people, the future risk to their safety and properties, and without putting commercial gain and greed first. The picture below was taken at 1pm today from Bryanston woods, overlooking the proposed development site on the Crown Meadows. 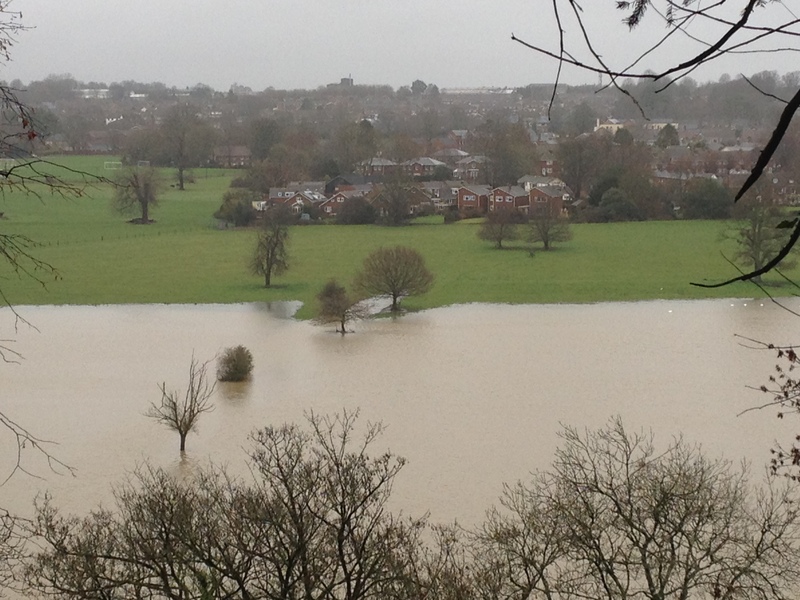 The green grass that is left is where the development would be!! What more can we say? 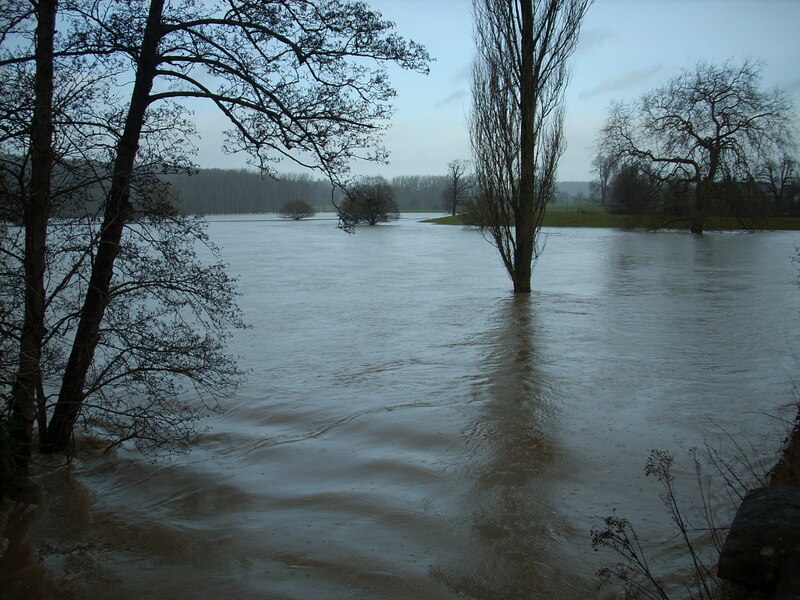 The recent wet and windy winter weather has obviously caused the banks of the River Stour to burst and for the overflow of water to run onto the flood plain (the Crown Meadows), to within a very short distance of the boundary of the site proposed for the development of houses. 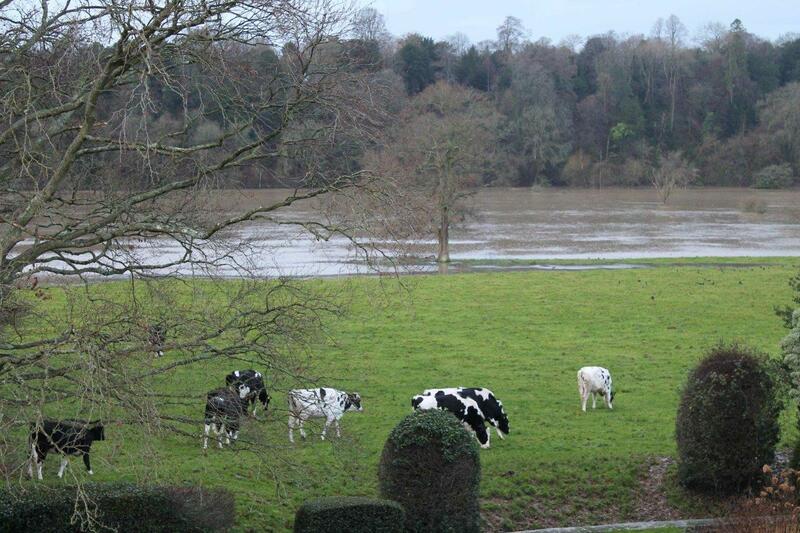 would look from the Blandford bridge on 24 December 2013 of the same view of the Crown Meadows!! to the consultation exhibition in November, which showed plans for an alternative site to the Crown Meadows for housing development. There continues to be great interest and passion from local people about their town's heritage setting. Mary Homes Ltd (award winning development of Bryanston Hills). SAVE CROWN MEADOWS.. WE STILL CAN! 6,000 locals said NO! 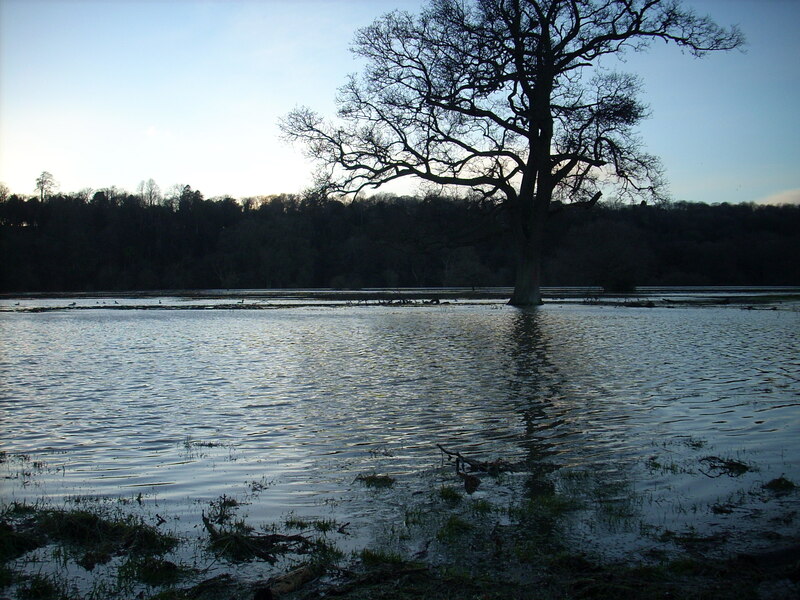 but North Dorset District Council is still determined to allow the building of 200 homes on the unique and idyllic Crown Meadows in Blandford Form - destroying the natural heritage of this beautiful former parkland for ever. Everyone understands the need for new and affordable housing but there IS an alternative scheme. 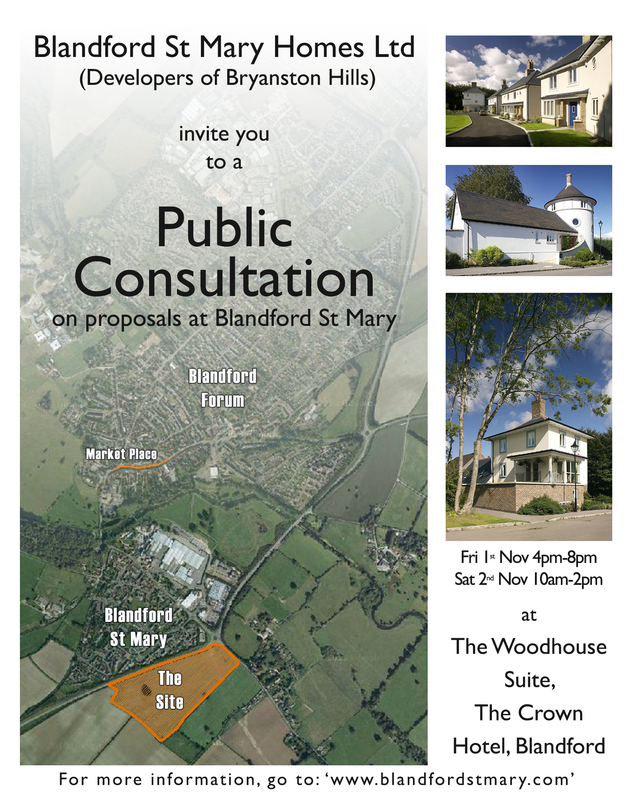 So please come support the Blandford St Mary Homes' alternative proposal at a public consultation at the Crown Hotel on Friday November 1st (4pm-8pm) and Saturday November 2nd (10am-2pm). Make your voice heard! Please visit the exhibition and let as many people as possible know about it. Sorry not to be the bearer of better news.. but, in the full council meeting on Friday 27th September, the council approved North Dorset District Council's new Plan, which includes the allocation of the Crown Meadows as a site for development of houses. Believe it or not... it was by 16 votes to 4.. with 4 abstentions! How did that happen? This Friday 27th September 2013 at the Full Council Meeting at North Dorset District Council, they hope to push through, with suspiciously indecent haste, the allocation of the Crown Meadows to be developed on ….. despite the Blandford townsfolk having said ‘No’, on more than one occasion… the last being a near 6000 signature petition last year. What you can do… Lobby your local Councillor by all possible means (letter, email, and in person) and remind them that they are elected to represent their constituents. Those beautiful meadows should not be desecrated for short term gain, but preserved for future generations. 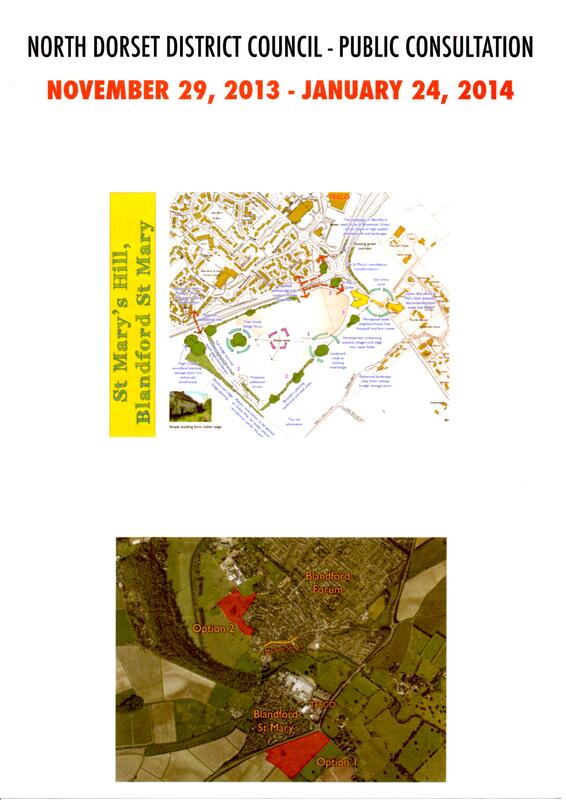 North Dorset District Council appear to be ignoring the alternative sustainable site by Tesco for the development of housing, in favour of the Crown Estate’s offering of Blandford’s iconic Crown Meadows, which 6000 local people have said they don’t want to be developed. Where is the Localism Agenda? 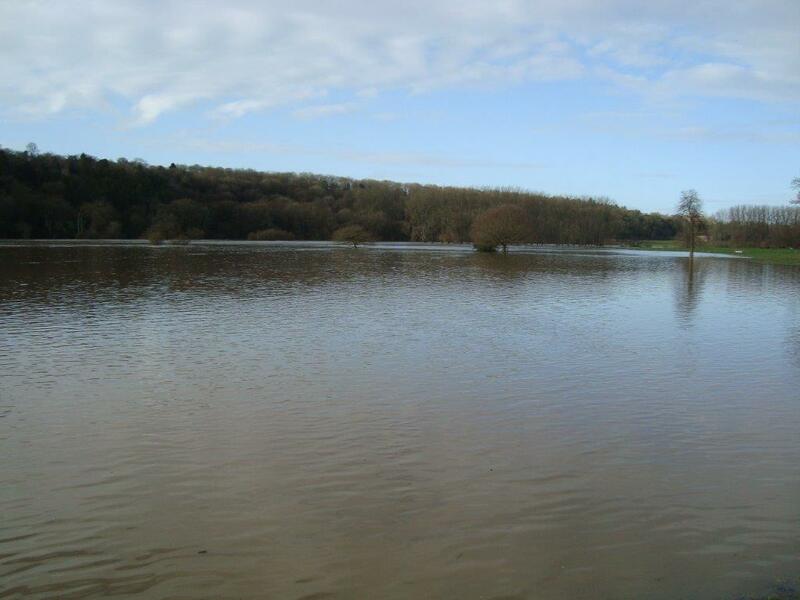 Why have North Dorset District Council failed to fully explore this option, and why have they for the last three years given support to the Crown Estate by way of hosting their exhibitions and plans, to the exclusion of other options? 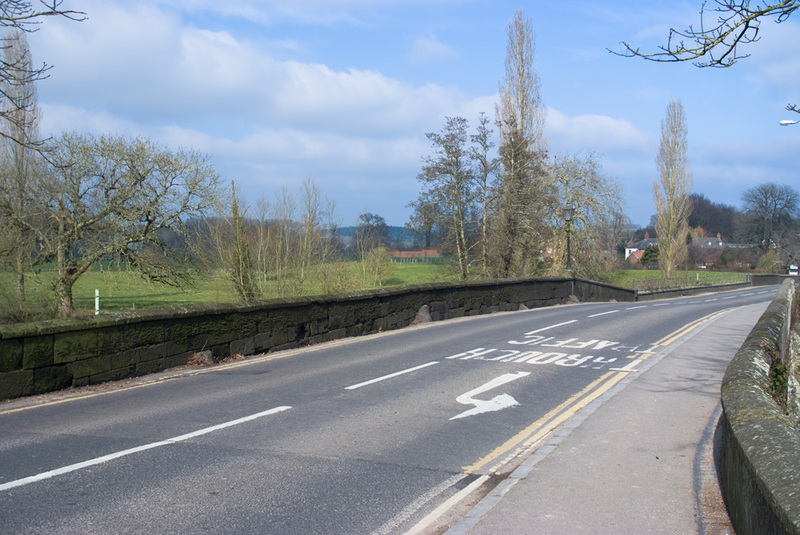 ends on the proposed alternative site. 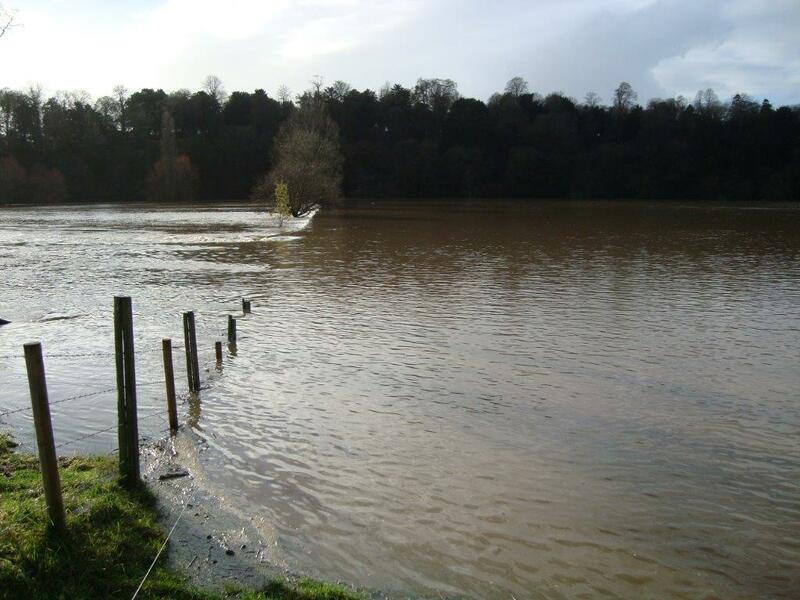 The alternative site by Tesco would achieve economic, social and environmental benefits. As well as generating employment and bringingmoney into the local economy, the development would fulfil the new homes target, provide social housing, provide jobs for local people, and contribute to the local community. 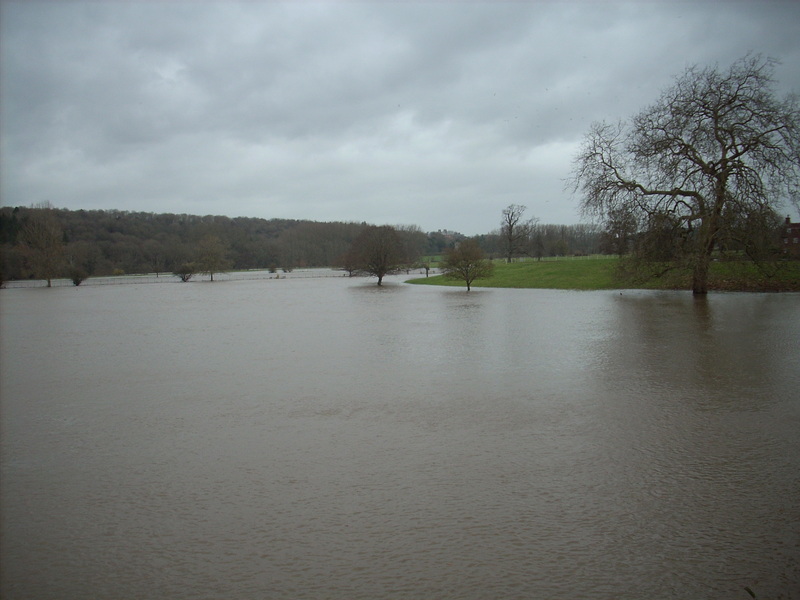 In addition to all the above, Blandford Forum would be able to keep its treasured Greenspace, the Crown Meadows (or “land West of Blandford” as the Crown Estate views it) which almost 6000 people asked for in the petition to North Dorset District Council last year. 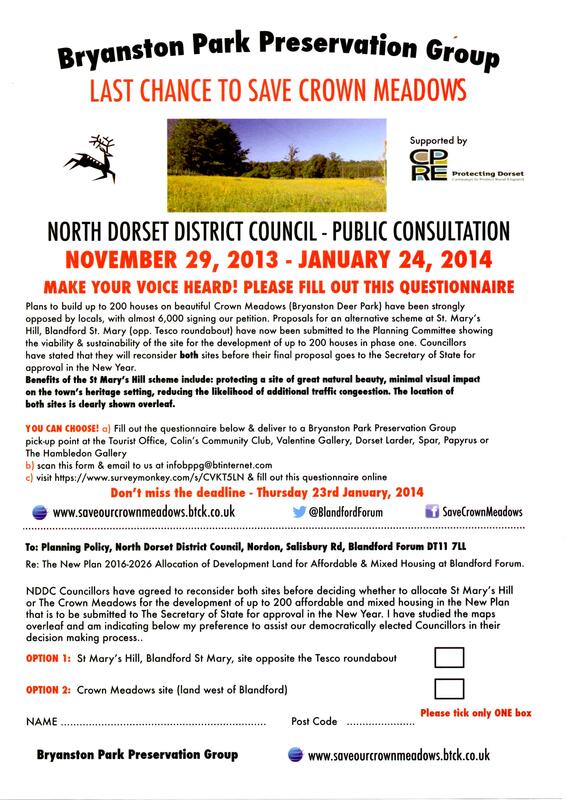 This is a ‘No Brainer’… North Dorset District Council, why are you continuing to pursue the option of development on our Crown Meadows? 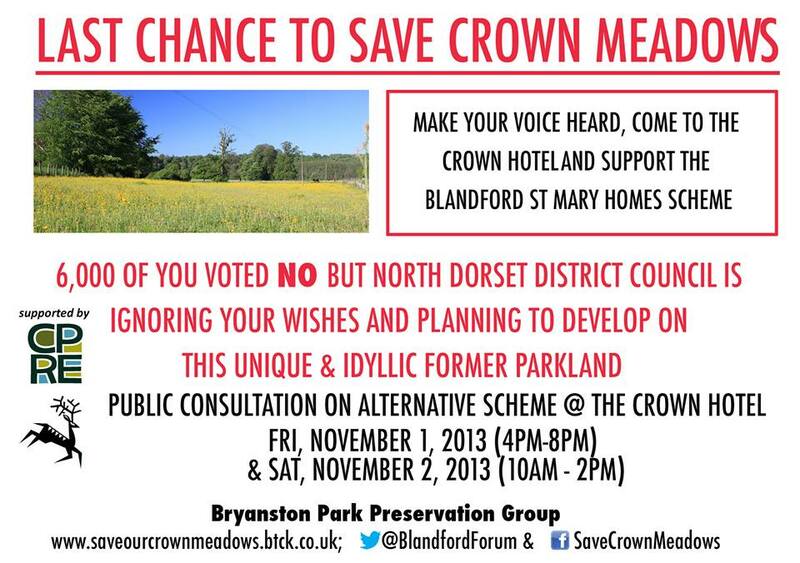 The people of Blandford Forum give you the backing to tell the Crown Estate “No thank you” to the Crown Meadows being built on.